Mama Bear is back in town for a few days, and since she was still suffering from jet lag, we agreed to meet up for lunch near my office. I had always been curious about the quality of dim sum at Restaurant de Chine (中華匯館), so I figured I'd take this opportunity to check it out. Once Mama Bear picked up the menu, she decided that she would prefer not to have dim sum, but order from the regular menu instead. As she is the visitor, I gave her carte blanche on ordering. Drunken pigeon with Huadiao wine (花雕醉乳鴿) - this has always been good. 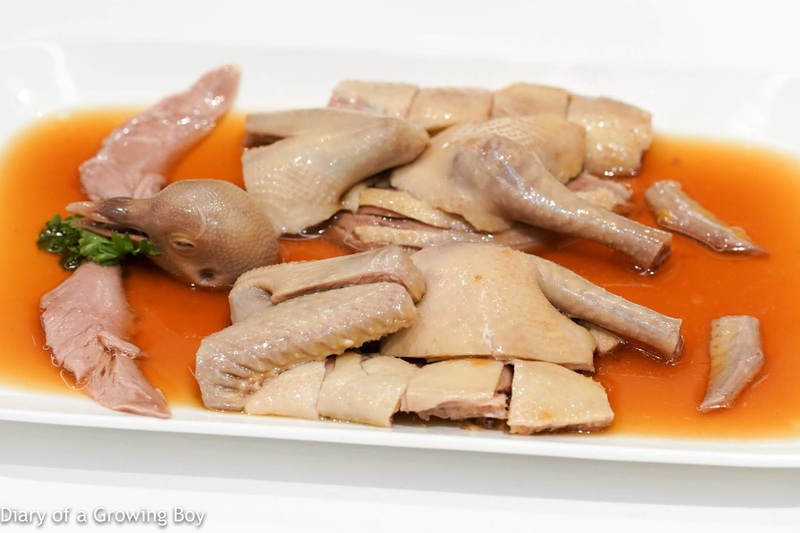 The pigeon meat was certainly tender, and the flavors from Huadiao were nice and strong. 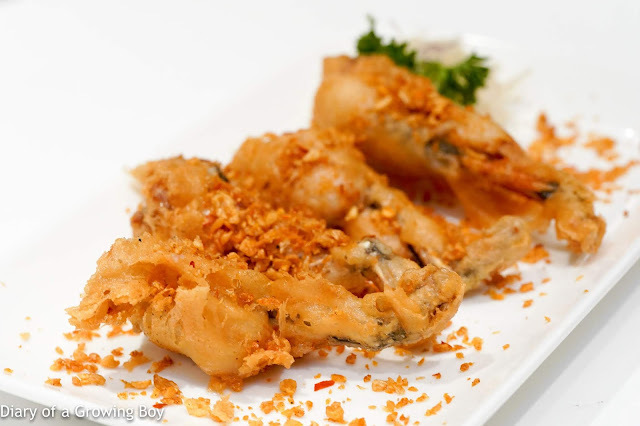 Deep-fried Bombay duck with spicy salt (脆炸九肚魚) - there was a good amount of batter here, too. And while the Bombay duck was as tender as I expected, it was nevertheless a little too greasy for my taste. 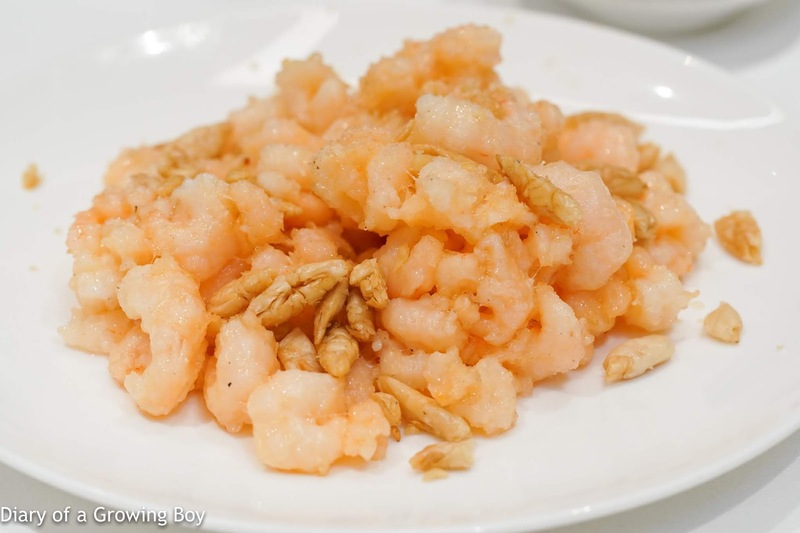 Sautéed river shrimp with olive seed (清炒河蝦仁) - this was, again, not what we expected. There was a little more batter than I would prefer, and there was certainly a little more seasoning than usual. Then there was the presence of those toasty Indian almonds (欖仁), which just seemed so out of place. 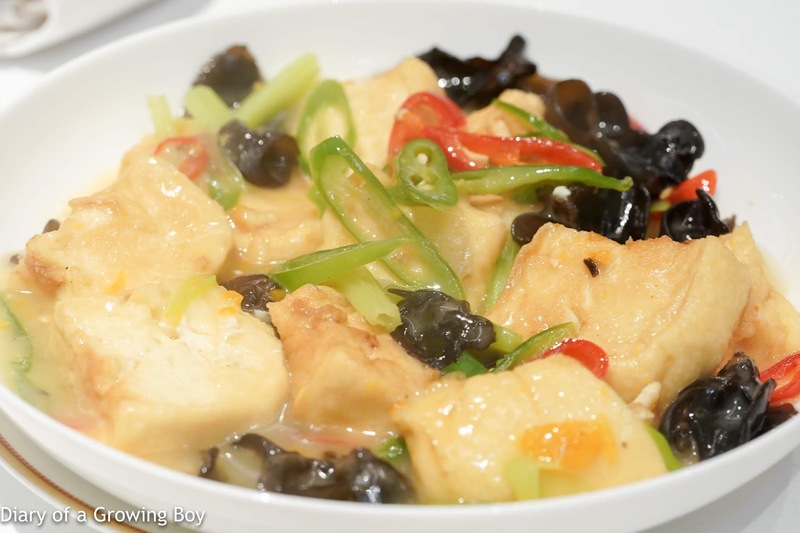 Pan-fried bean curd with celery in chili sauce (辣煮家鄉豆腐) - this was surprisingly good. The thick and starchy sauce was spicy but also came with good acidity, and I wondered whether there was a little fermented tofu (腐乳) added. 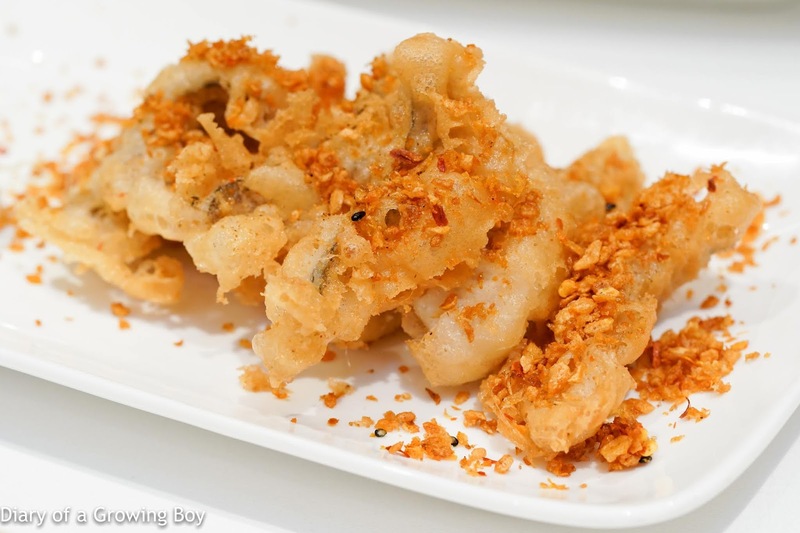 Good crunchy texture from the celery as well as the wood ear fungus (木耳).